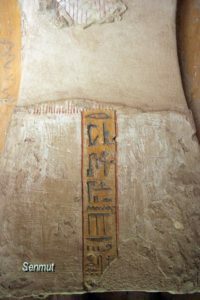 Nefersekheru is the second of three tombs in El Kokha (1st Neferrenpet)and in fact the last possibility at this small courtyard, Neferrenpet (Ramses II) used the southern area, Nefermenu (Thutmose III), so he chose the western wall. 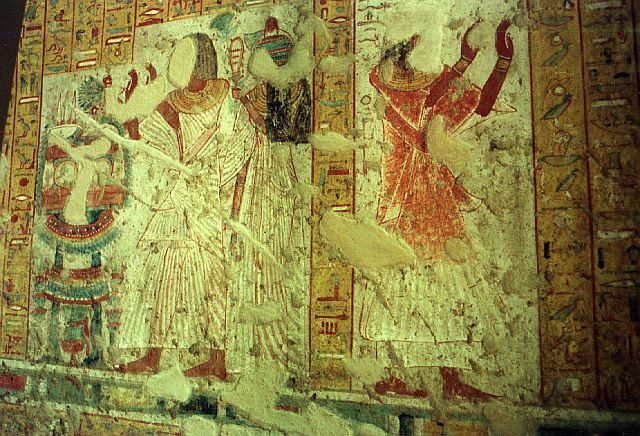 Bad idea, because half way he stumbled on the tomb of Djehutymes (TT295, Thutmose IV), so he had to stop and changes his plan. 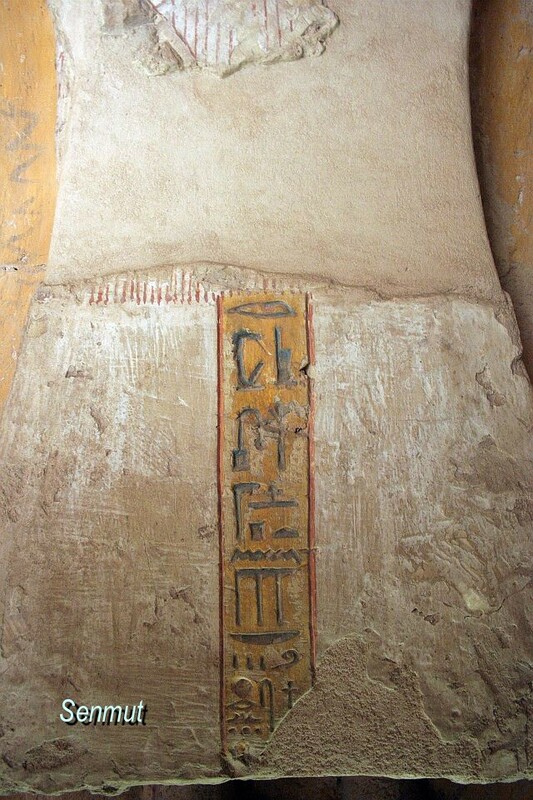 For us very confusing, because we have to crawl thru a hole in the west wall to enter the third tomb Djehutymes, which in fact has its entrance somewhere else and is closed. 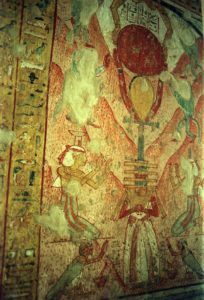 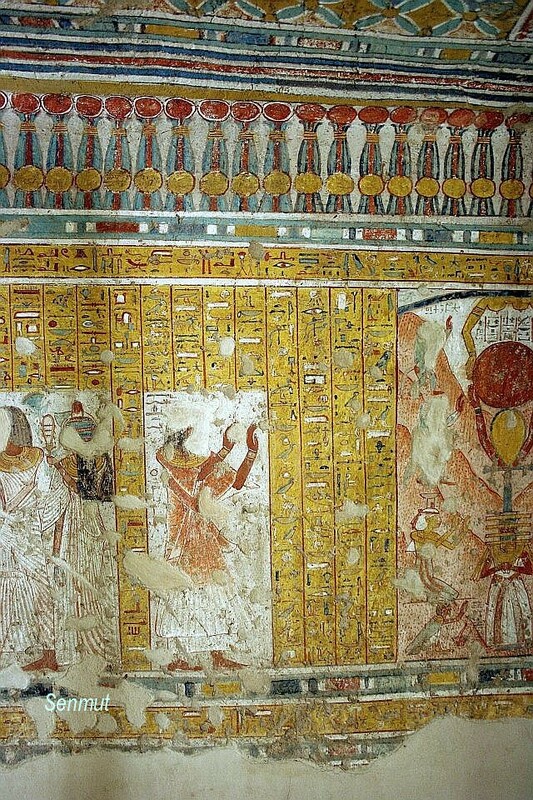 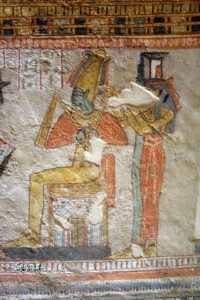 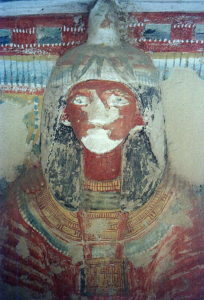 Nefersekheru held the titles “Deputy administrator of the treasury”, “Deputy administrator of the treasury” and “Scribe of the divine offering of all the gods”. 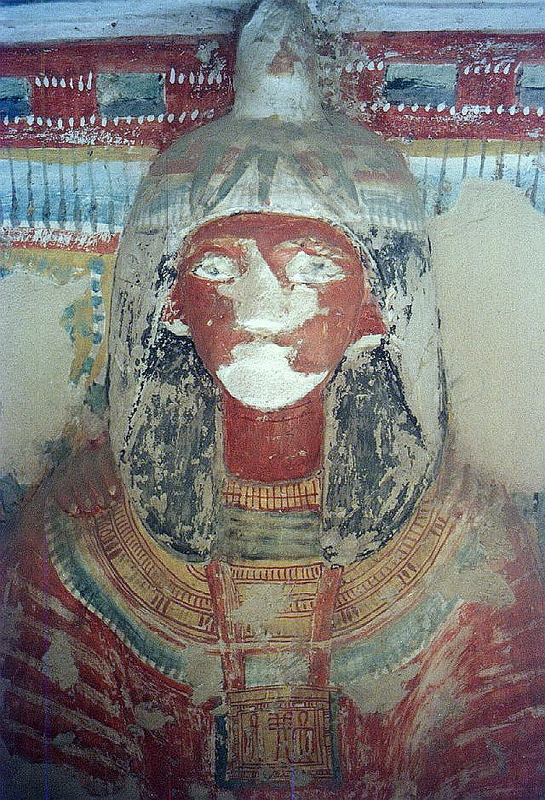 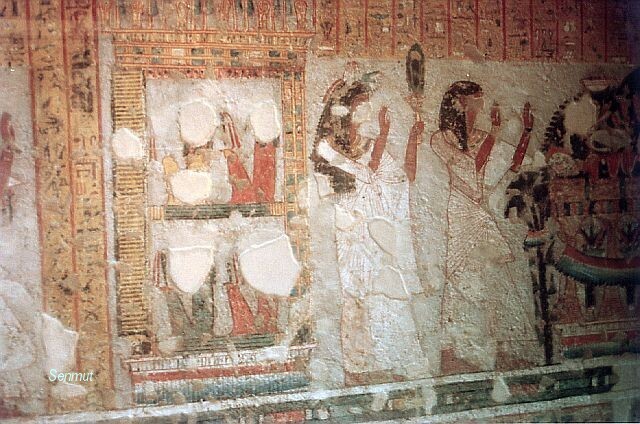 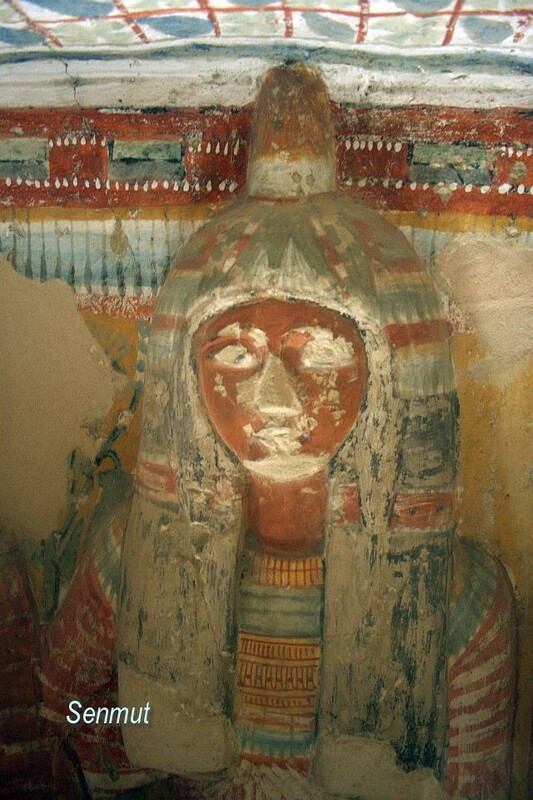 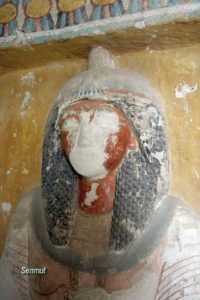 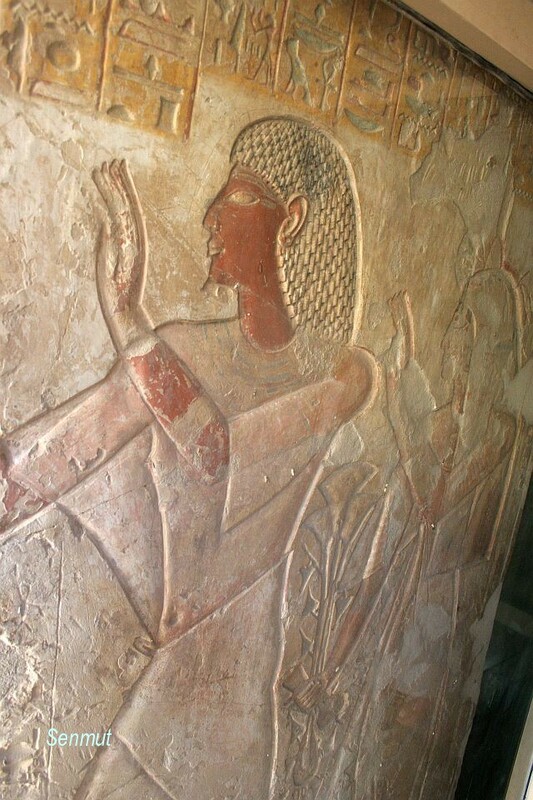 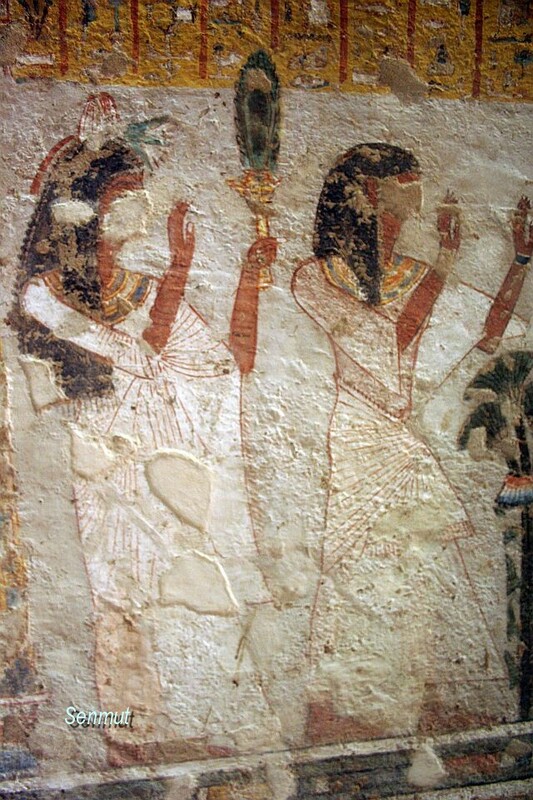 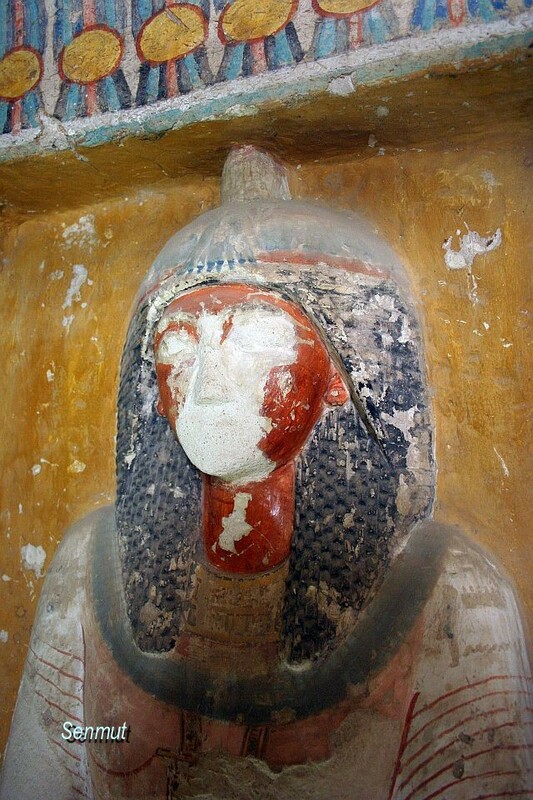 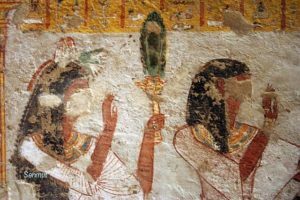 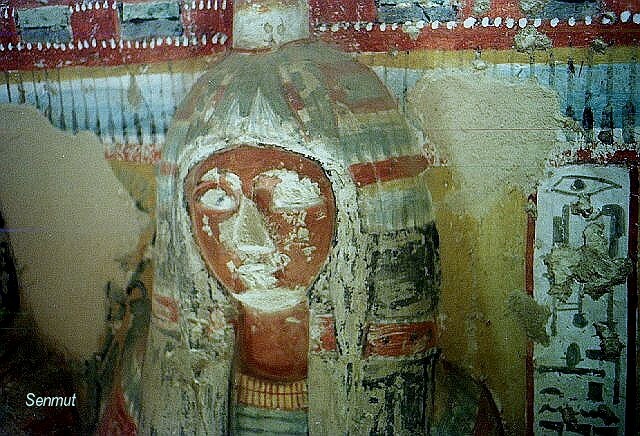 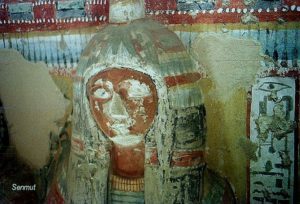 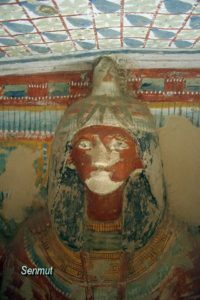 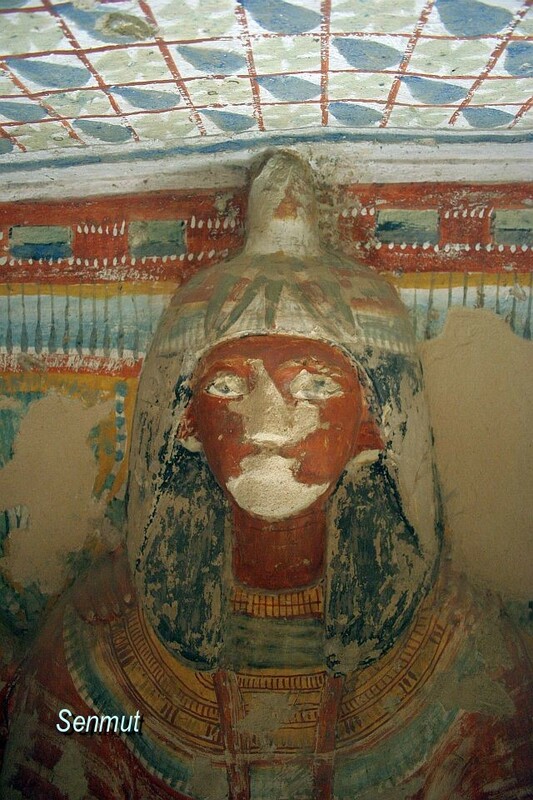 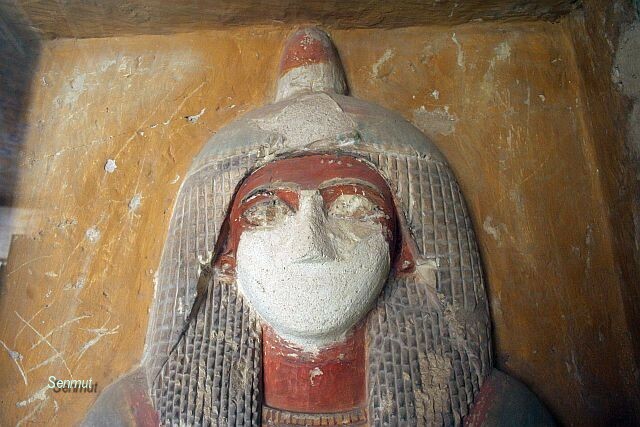 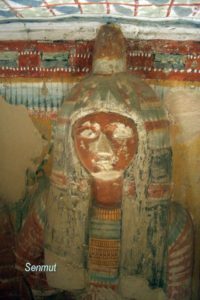 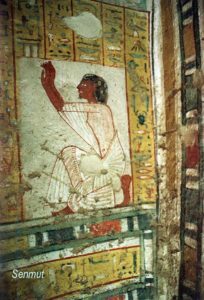 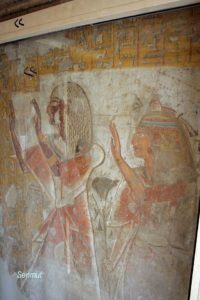 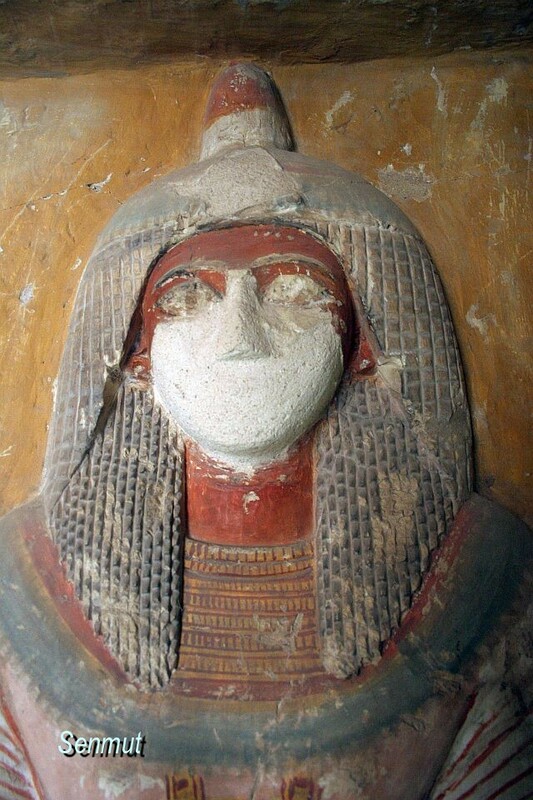 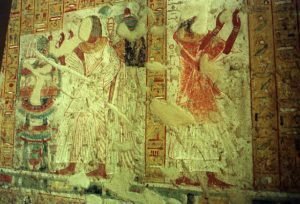 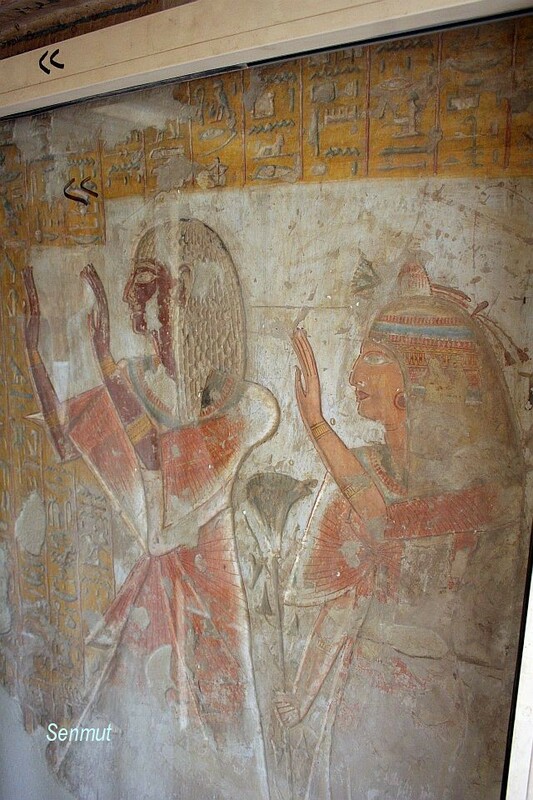 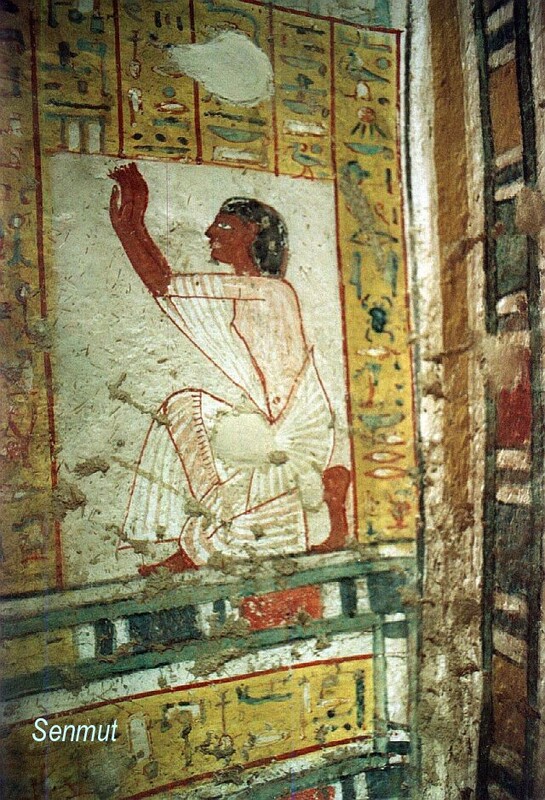 Apparently he had three wives, Kay, Nedjemmaat-Mut and Nefertiri, all mentioned in the tomb, while a fourth woman can be identified as his daughter, called Hener. 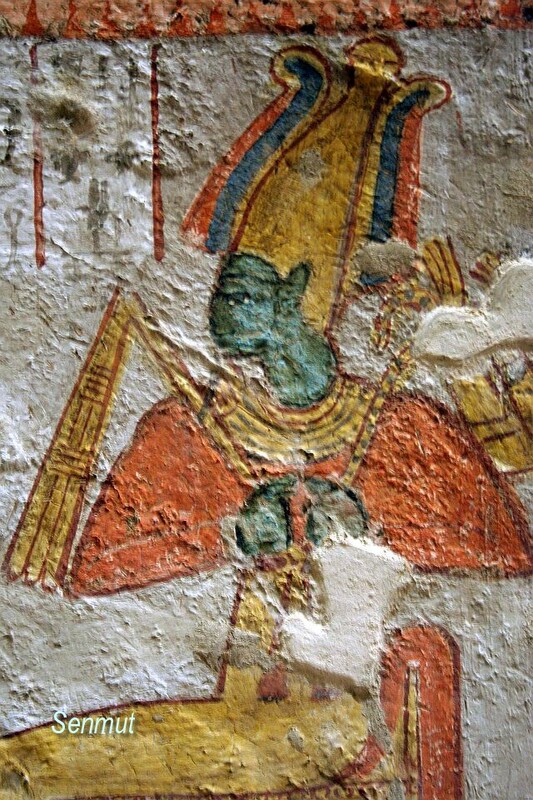 All his women were “Chantress of Amen”. 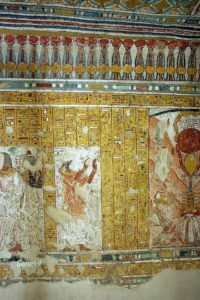 He also had three sons of which one is mentioned Amenemipet.